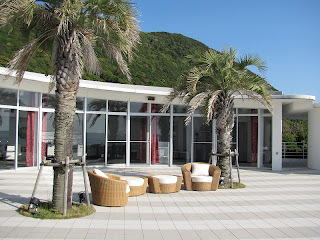 Splendid morning at the Utoco Resort and Spa. This is the sun-soaked terrace overlooking the Pacific Ocean outside the hotel restaurant. 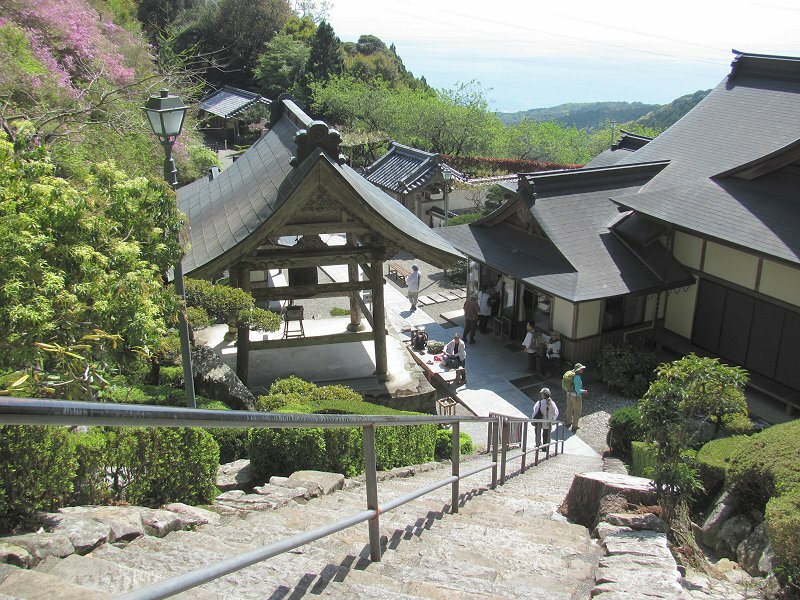 This morning we hiked from the Utoco Resort to Hotsumisakiji (Temple 24) atop Cape Muroto. 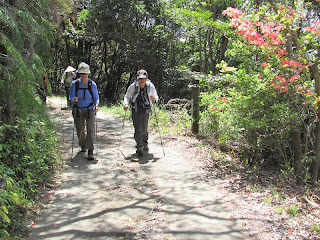 The seaside trail through the Muroto Geopark en route to Hotsumisakiji. 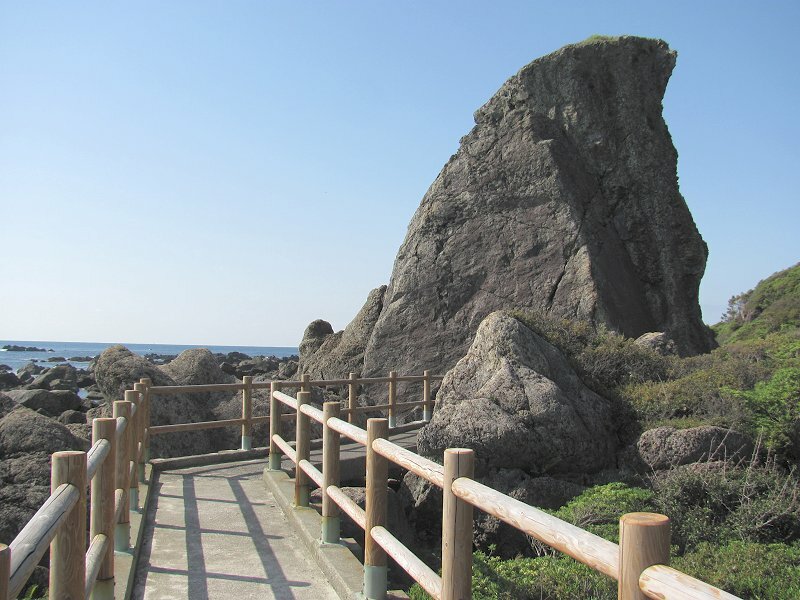 The rock is known as Eboshi iwa ("Hat Rock"). 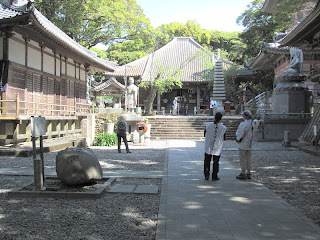 In the Hotsumisakiji temple compound looking toward the main hall (hondo). 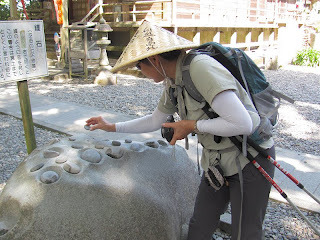 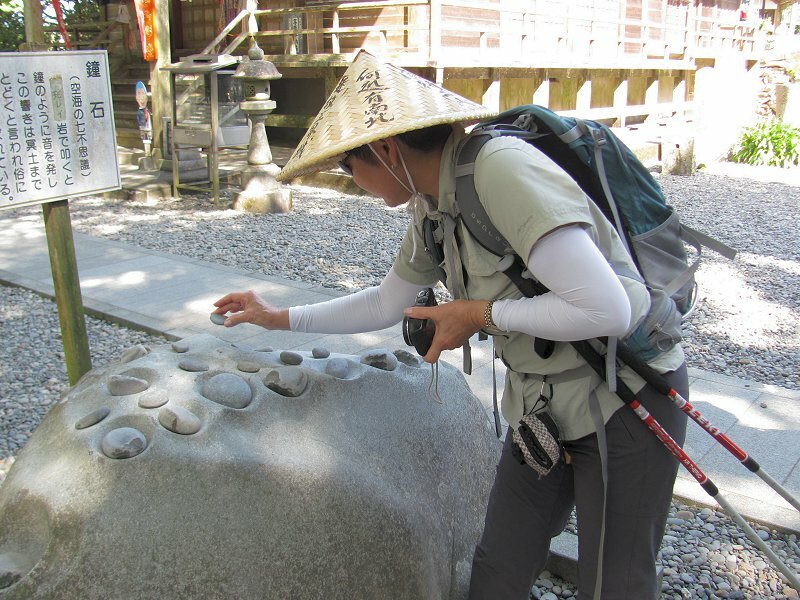 Henro Jane testing the "bell stone" at Hotsumisakiji. 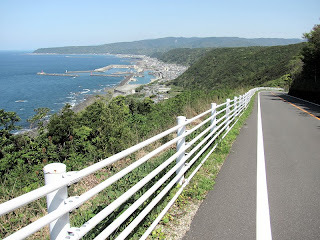 Looking north up the Shikoku coast from Cape Muroto. From here, we drove 45 minutes north to Yasuda town where we began our hike up to Konomineji (Temple 27). 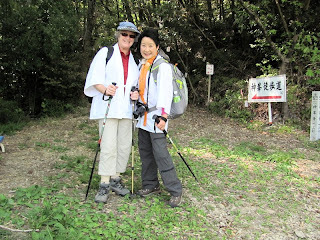 On the Shikoku no michi en route to Konomineji. 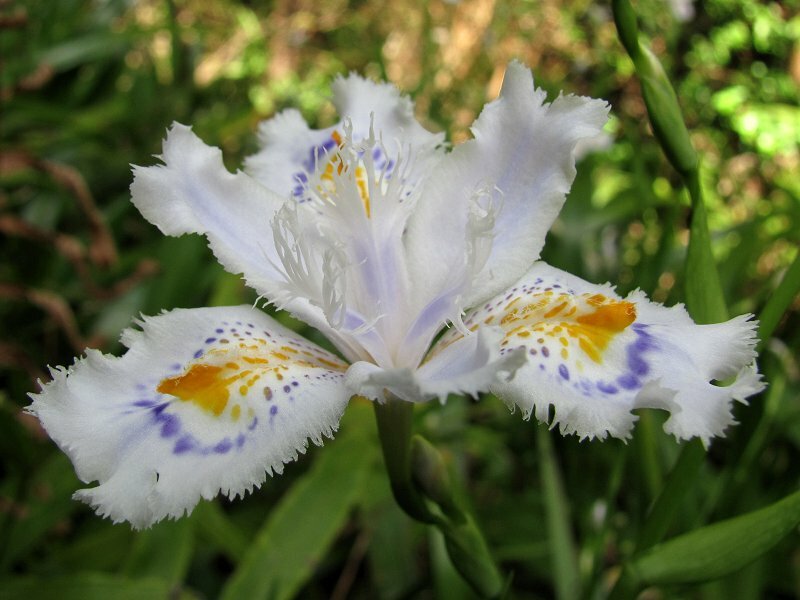 Iris blooming along the path to Konomineji. 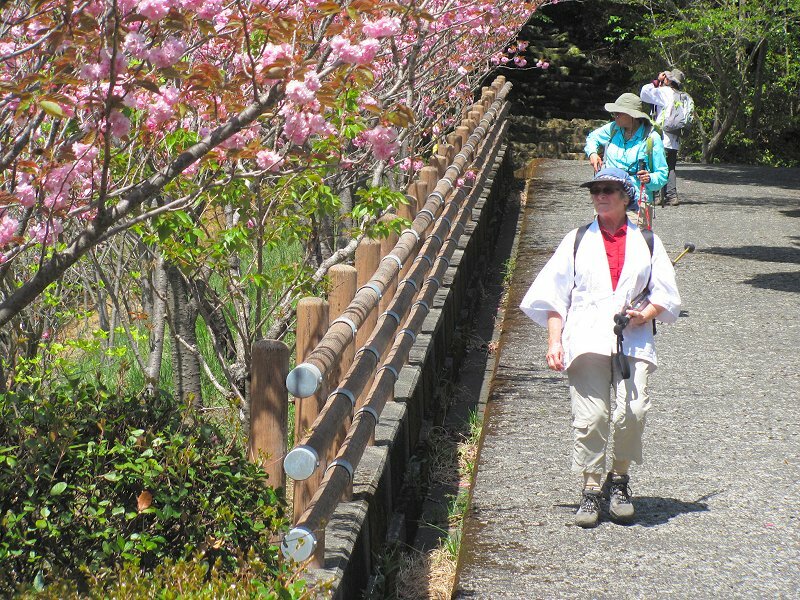 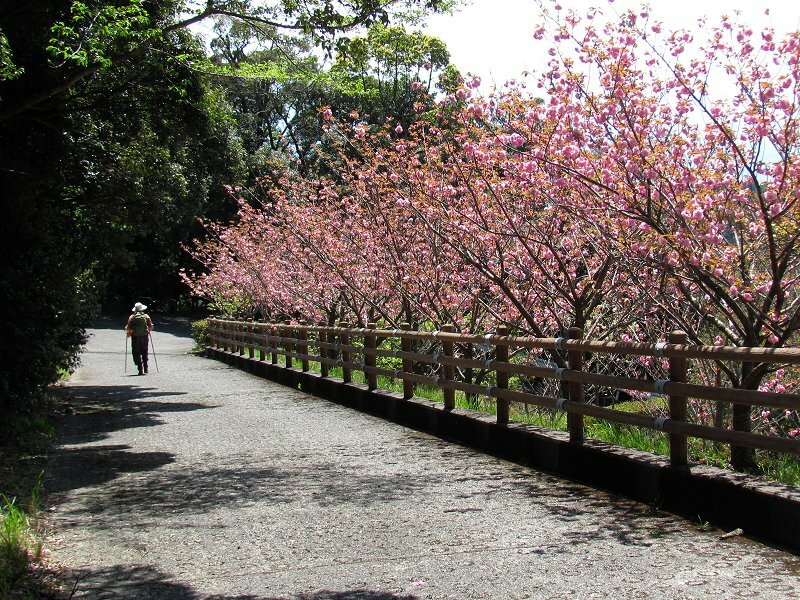 A line of sakura near the Daishi Hall at Konomineji. 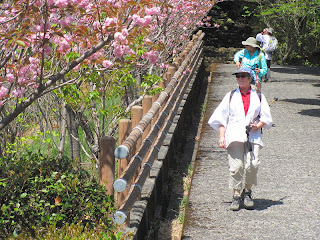 Enjoying the cherry blossoms at Konomineji. 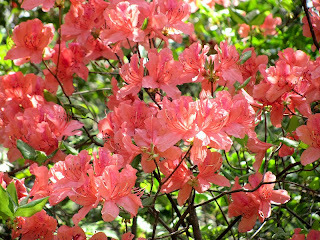 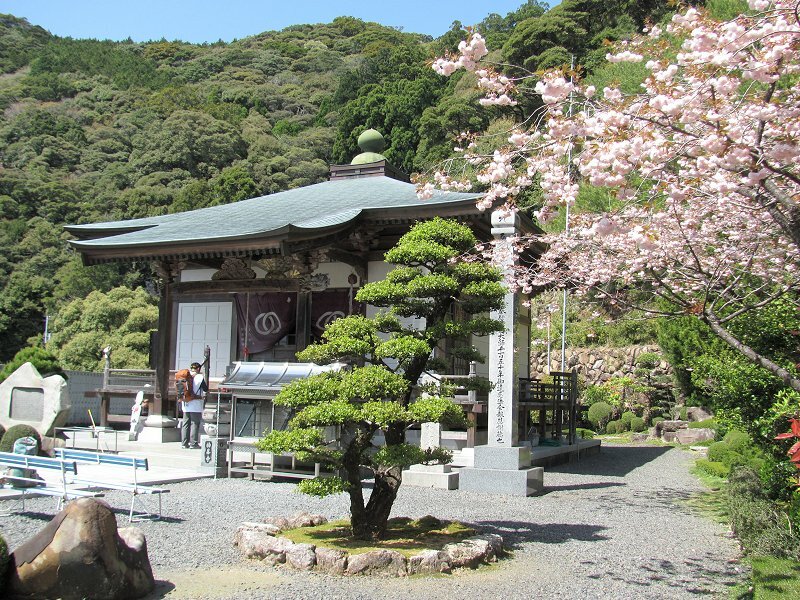 Most of the cherry blossoms at the lower elevations on Shikoku have finished their display, but here at the mountain temple of Konomineji, we could still enjoy them! At the Daishi Hall at Konomineji. 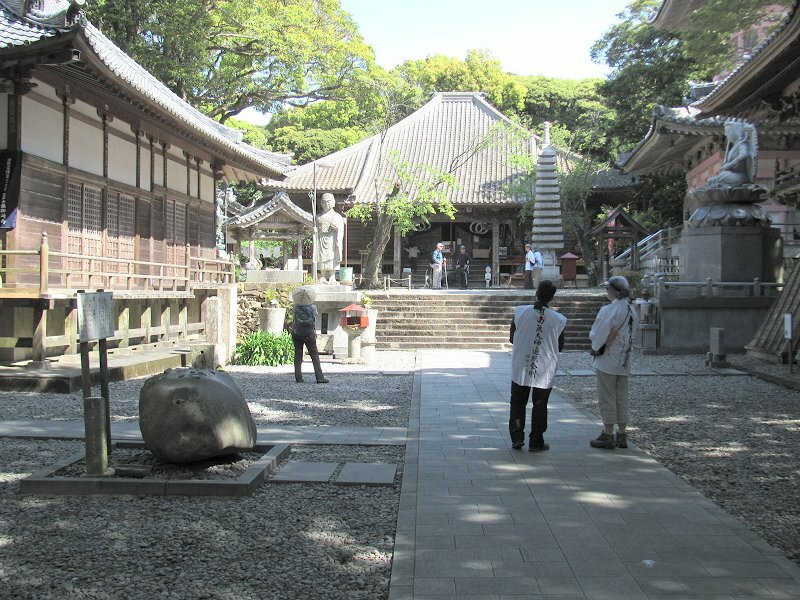 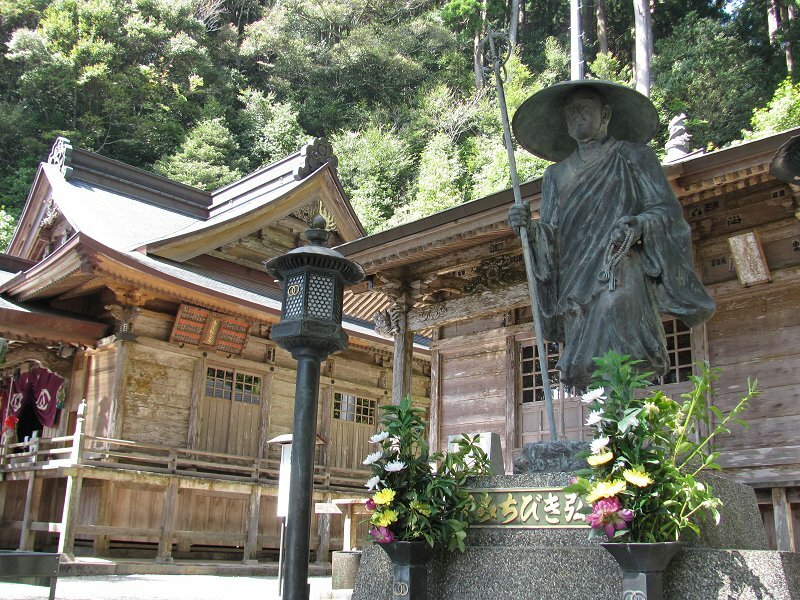 The main hall (left) at Konomineji and a statue of Kobo Daishi. From Konomineji's mountain perch, you can gaze out over the Pacific Ocean! Henro Jan and Henro Ingrid at the base of the henro korogashi ("place where the pilgrim falls down")--a steep section of trail on the pilgrimage route to Konomineji. 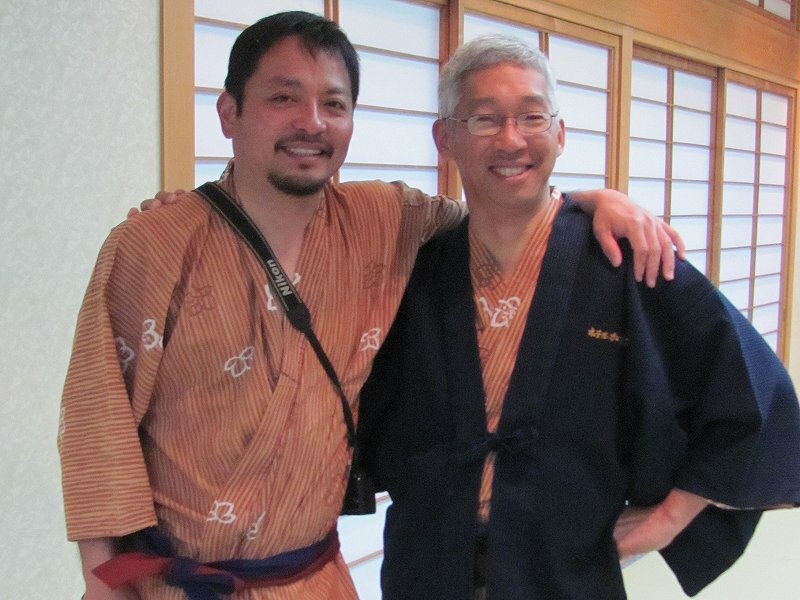 Tom Takano (left) and me at the Kazurabashi Hotel in the Iya Valley of central Shikoku.